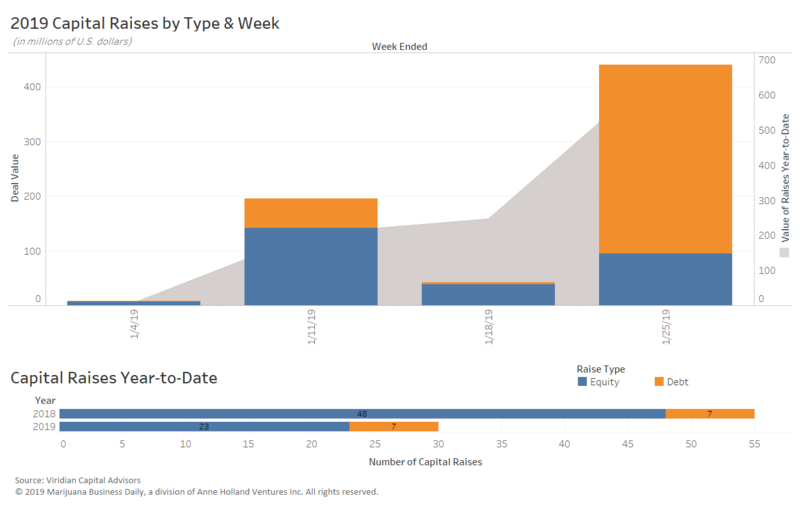 Through the fourth week of January, public cannabis companies have raised $394.1 million, with an average funding round of $24.6 million, according to data tracked by Viridian Capital Advisors. That’s up nearly 45% from the year-ago figure of $13.7 million. For private firms, the average raise is ringing in at $20.9 million, up from $17.6 million last year. All told, public and private cannabis firms have raised $686.8 million, down from the $820.6 million during the same time in 2018. “While we’re seeing capital being raised with less frequency, we are seeing larger significant tranches of capital being raised, especially among the Canadian (licensed producers) as they expand in Canada and internationally,” said Harrison Phillips, vice president with Viridian. 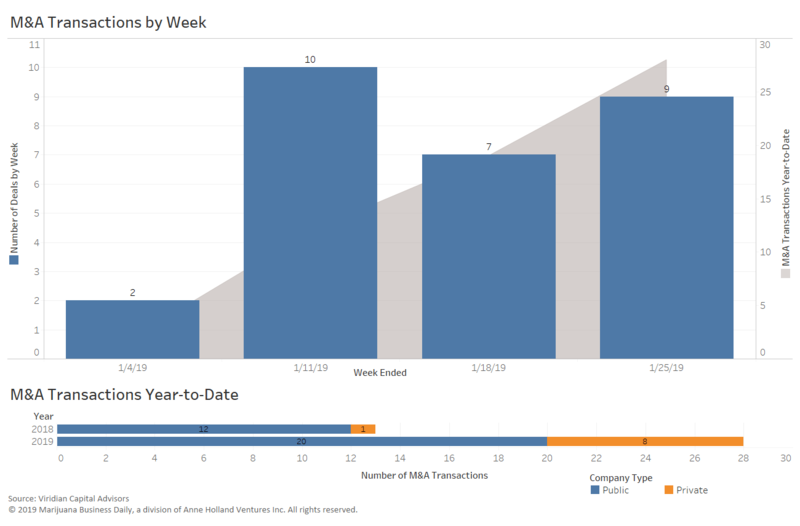 The data below, provided by Viridian, offers additional highlights on investment and M&A activity through the week ended Jan. 25. Canadian licensed cannabis producer Aurora Cannabis (NYSE: ACB; TSX: ACB) closed a $345 million convertible debt offering – capital the firm plans to use for domestic and international expansion. The deal underscores the continued “land grab” underway as Canadian producers rapidly scale their footprint, Phillips said. California-based Caliva, a vertically integrated cannabis company based in California, closed its first round of funding, snagging $75 million the firm will use to expand its product offerings as well as its retail footprint in the Golden State. Former Yahoo CEO Carol Bartz and NFL Hall of Fame quarterback Joe Montana were among those participating in the funding. Bartz will serve on Caliva’s board. “California – because it’s the single-largest market in the world – continues to be the market everyone is focused on,” Phillips said. GrowGeneration (OTC: GRWG), a publicly traded hydroponic and organic garden center chain, acquired the assets of Chlorophyll Inc., a Denver-based cultivation supply store. The value of the deal was not disclosed. 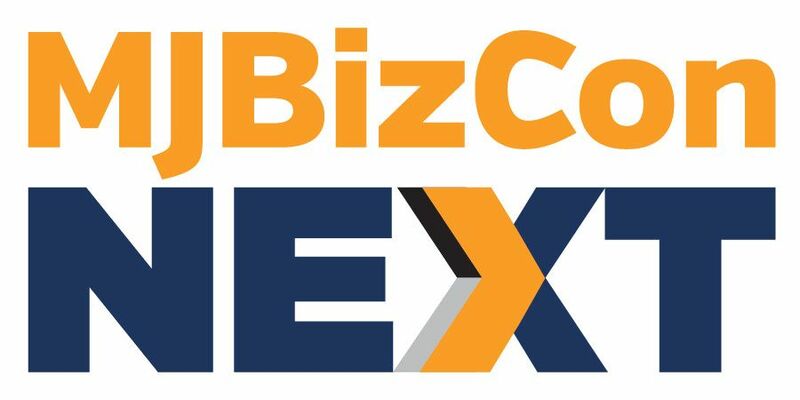 The acquisition highlights the “continued aggregation of mom-and-pop businesses around cannabis, particularly cultivation supply stores, as cannabis cultivation – both commercial and at home – provides demand for these products,” Phillips said. EMMAC, a European medical cannabis company, acquired a majority stake in Medalchemy, a GMP-certified cannabis extraction lab in Alicante, Spain. Financial terms of the deal were not disclosed. The company has experience producing active pharmaceutical ingredients – a key component needed for research involving cannabinoid therapeutics, according to Phillips. Thanks with your detailed update.